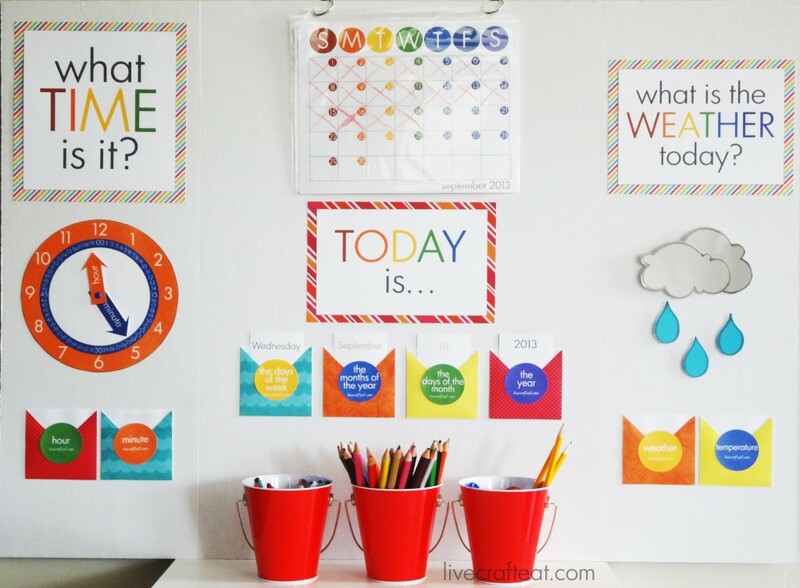 You are here: Home / Live / 2014-2015 school calendar for kids :: freebie! 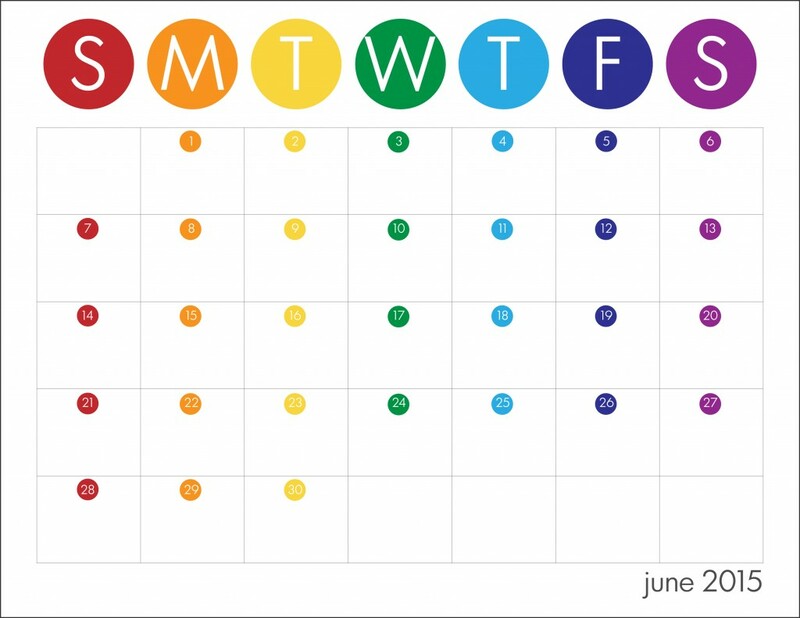 they’ll have things to remember, and special dates they want to keep track of, so look no further for some free printable school year calendars for your kids (or yourself!) to keep everyone organized. last year i made a homework station for my kids during the school year. it included a weather station, a time-telling station, and a calendaring station. we had it on a tri-fold display board, and kept it propped up on a little writing table during homework time, and folded it nicely and put it away after homework was done for the day. it was nice to give my kids a special little space just for them to focus on their work. see that cute little calendar in the middle on top? my kids used it to cross off the days, make note of when theirs and others’ birthdays were, when holidays were coming up, etc. this year, i have a whole new set of calendars. they are pretty much identical as last year’s, but they’re updated with september 2014 – june 2015 dates. and the best part? they’re FREE!! so go ahead and download the free PDF file below, and you’ve got a whole school-year’s worth of organization for you and your kids (whether or not you decide to make the whole homework station)!! 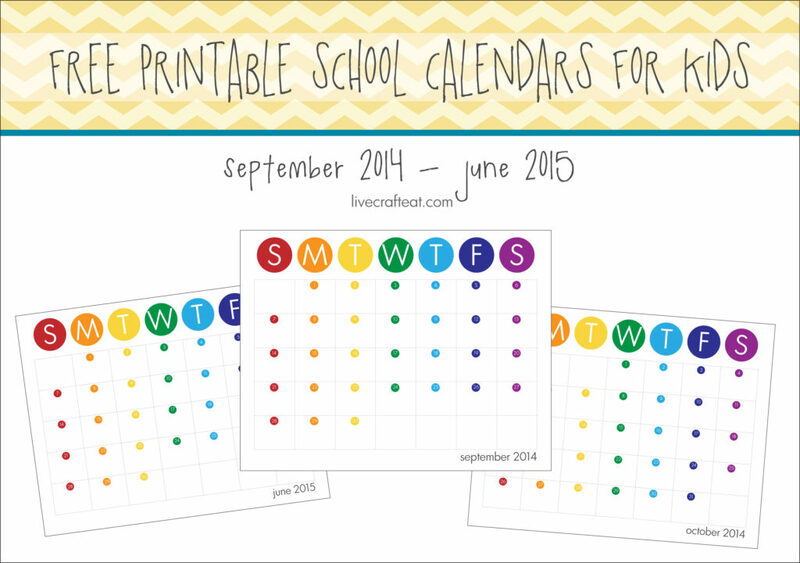 here’s the link to get these entire school year (september 2014 – june 2015) of these bright, cheerful, colorful calendars! P.P.S. if you’d like a bigger and even better version of a kids calendar/planner, you should check out the one in my etsy shop, live.craft.eat.print. 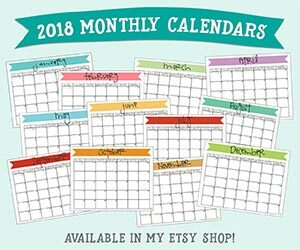 it’s got fun and colorful ready-to-use daily, weekly, & monthly calendars to help keep your kids organized, and it will sneakily get them to do some journal writing 🙂 plus, you can start using it any time, any day – there are no specific dates attached. see the listing here :: KIDS ORGANIZATIONAL PLANNER. I don’t. I only made the school year ones. Sorry!! Could you create these wonderful calendars for 2016 pretty please ???? Hi Veronica! i was so busy this year I never got around to these! I will try my best to get some out for 2017 🙂 Thank you!